Sony has just announced their new cinema camera, the Sony NEX-FS700, which is about to fill the gap between the FS100 and the F3 in Sony’s cinema camera line-up in Super 35mm cameras. It has a 11.6 million pixels sensor. 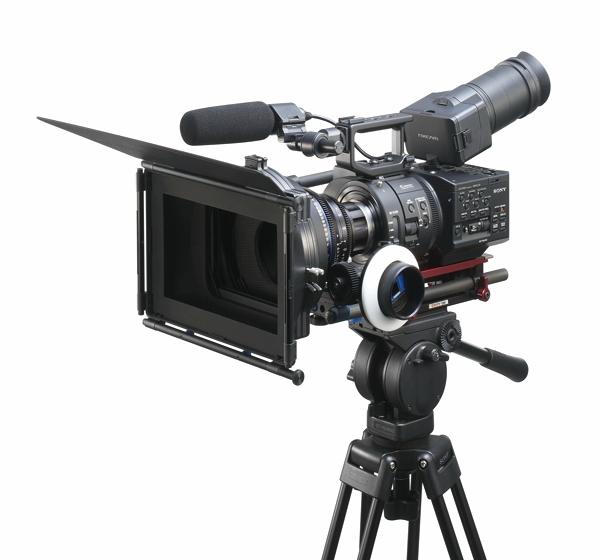 There are two features that really make the FS700 stand out: It can record 120 or 240 frames per second in 1080p in 8 or 16 second bursts, respectively. It’s insane and unheard-of in a camera in this price range. So far, the best we could get for a comparable amount of money was the FS700’s little brother, the FS100, which is able to record up to 60 fps in 1080p (in the US version, 50 in the EU version – though that is about to get irrelevant with a firmware update that will make it a world camera). The LCD panel is 3.5″ 921K – same as the FS100. The second big thing about this camera is that it will be able to output 4K “Raw” through its 3G HD-SDI output in the future. It seems like not even sources within Sony know yet when exactly this will be available, nor what the recording device will be like or what its cost will be. But it sounds extremely intriguing. To keep in line with the NEX series, the camera will record AVCHD 2.0 by default, to SD cards. It is a world camera, switchable from 50Hz to 60Hz, recording all variations of frame rates that we need (24/25/30/50/60) in 1080p. It seems like a series of shooters had a chance to use this camera prior to its release. 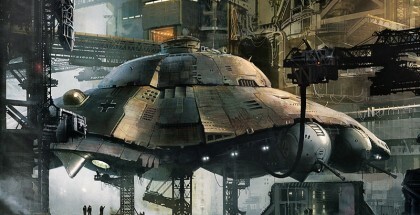 We can expect test shots of it at and around NAB time, maybe even in the coming days. Den Lennie, James Miller, Peter Prevec and Jason Wingrove seem to be among the few who had access to the camera already. 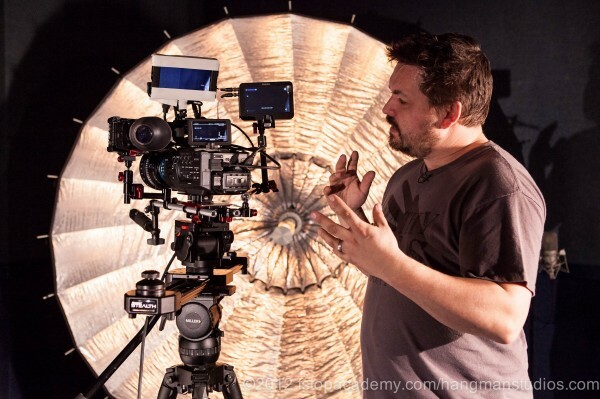 Check out my friend Den Lennie’s first blog post on his shoot with the FS700 on his blog by clicking right here. They enhanced a few things from the FS100, although the form factor is similar. 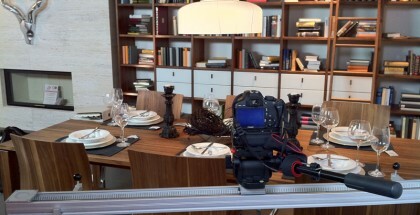 The FS700 has 3 built-in ND steps at 1/8, 1/16 and 1/64. 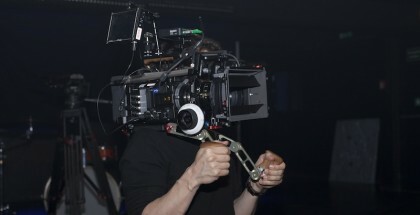 I was never a big fan of the FS100 form factor, but it seems they enhanced some of its biggest shortcomings, e.g. moving the XLR port from the back to the front. It however still has the little awkwardly designed viewfinder that can be taken of, and it features the same LCD screen as the FS100. 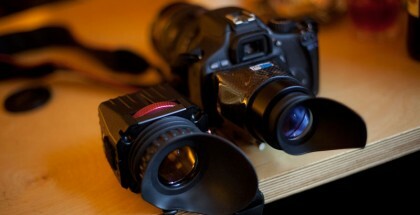 It shares the same E-mount lens system with the FS100. Now, with the availability of a several adapters allowing you to control the f-stop on the ubiquitous Canon EF lenses, the Sony cameras will gain a lot of popularity in no time without a doubt. Now this is exciting, according to Sony’s press release it will be below $10K, according to other sources even around $8-9K. This will truly make a big difference in the camera market, mainly because of its slow motion capabilities which put it out of reach of all the competitors, for now. I will keep this post updated as we learn more about the FS700. Please check back later. I will do my best to get my hands on one to shoot something with it as soon as possible! The supplied SEL18200 (E 18–200mm F3.5–6.3 OSS) with the NEX-FS100EK boasts 11x zoom power, a quiet AF motor for cleaner sound recording, and Optical SteadyShot™ image stabilization with an advanced Active mode that lets you take steady handheld shots while walking around — even without a bulky stabilization rig. The NEX-FS700EK features built-in, ultra-thin ND filters, offering exceptional shallow depth-of-field on highlights. It also means less accessories to manage as no external ND filters are required. The NEX-FS700EK has a refined ergonomic design with a robust detachable handle and grip. The NEX-FS700EK is switchable between 50 Hz and 60Hz to allow 24p shooting in PAL areas and no PAL/NTSC limitations. 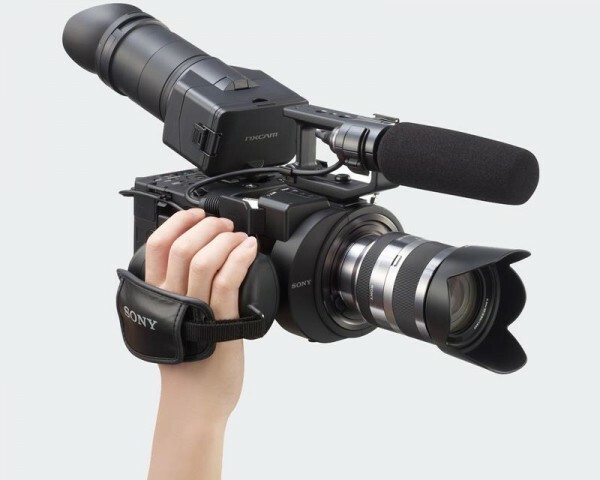 PARK RIDGE, N.J., April 2, 2012 — Sony is pushing the creative boundaries once more with the new NEX-FS700U Full-HD Super Slow Motion camcorder, the latest in Sony’s line of NXCAM interchangeable E-mount camcorders. The new Super 35mm model is designed for high-speed shooting, capable of capturing footage at up to 960 frames per second. The camera also features a range of capabilities such as 3G HD-SDI output and built-in ND filters. Additionally, it also offers several creative options, shooting styles, and enhanced ergonomics – all based on customer feedback — to deliver a flexible production tool that can fit seamlessly into a variety of shooting applications. The camera delivers full HD quality at 120 and 240 frames per second in a 16 or 8 second burst mode respectively. The NEX-FS700U’s high sensitivity and low noise shooting capability makes super slow motion shooting more convenient without the need for additional equipment. Its 480 fps and 960 fps at reduced resolution are available for faster frame rate recording. 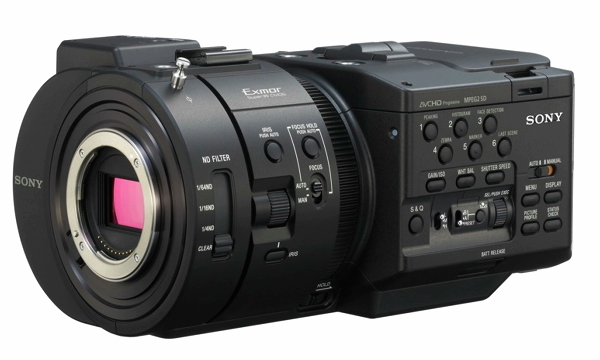 The NEX-FS700U camcorder uses a new 4K “Exmor” Super 35 CMOS sensor (Total 11.6 million pixels). This high-speed readout chip is optimized for motion picture shooting, giving high sensitivity, low noise and minimal aliasing. The NXCAM line’s E-Mount flexibility is designed to accept virtually all SLR and DSLR 35mm lenses, with the use of simple, inexpensive adapters without optical degradation. FS series owners can use their existing lenses and add more lenses without being limited to brands or mounts. Users can capture high-quality still images with the NEX-FS700U. The camera also includes “face detection” and auto focus to help ensure that a subject is always kept in focus. With the NEX-FS700U, operators can take advantage of the camera’s built-in ND filters, with a newly designed ND filter wheel that rotates across the sensor like a turret. The wheel includes positions for Clear, 1/4 (2 Stop), 1/16 (4 Stop), and 1/64 (6 Stop). The NEX-FS700U’s 3G HD-SDI and HDMI connectors can output full HD 50p and 60p, in addition to standard HD 60i, 24p, 25p or 30p frame rates with embedded time code and audio. With 3G HD-SDI, it can output native 23.98, 25, 29.97 progressive signals. Users can elect to output PsF over the 3G HD-SDI. Thanks to flexibility of the digital ports virtually any external recorder can be paired. Users can save up to 99 camera profile settings on a memory card, and can copy the same setting to multiple cameras. Compatible media includes SD and Memory Stick cards, and Sony’s HXR-FMU128 flash memory unit that attaches to the camera. A key element of the handle is an “active grip” that features four buttons for commonly used functions – expanded focus, auto iris, still capture and recording start/stop. Function buttons are also enlarged to make operation easy even while wearing gloves. 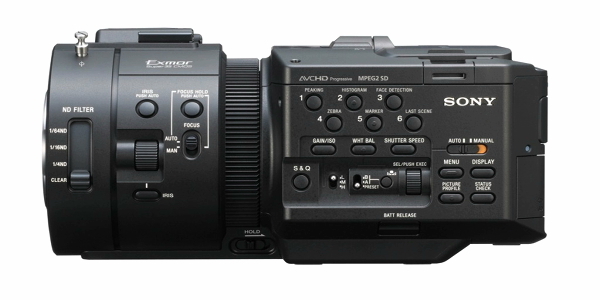 The camcorder’s enhanced design also includes anchor points for compatibility with third-party accessories and a more durable design than previous models.